Jafar Panahi is one of four Iranian filmmakers who have helped to establish Iranian art cinema with audiences across the globe. (The others are Abbas Kiarostami, Asghar Farhadi and Mohsen Makhbalmaf with his other family members.) Panahi stands out because he has remained in Iran and taken on the government censors with hard-hitting films. As a result he has been arrested and has faced severe restrictions. His earlier films were heavily influenced by neo-realism but since his ‘house arrest’ he has had to develop new ways of making films. The tragedy is that although the films have won prizes at international festivals, it has proved very difficult to put them in front of Iranian audiences. This one hour ‘illustrated talk’ will explore Jafar Panahi’s career, looking at extracts from his films and providing the background knowledge to gain most from his 2003 film Crimson Gold, screened in full. Crimson Gold is scripted by Abbas Kiarostami and based on a real set of events involving a pizza delivery man in Tehran. 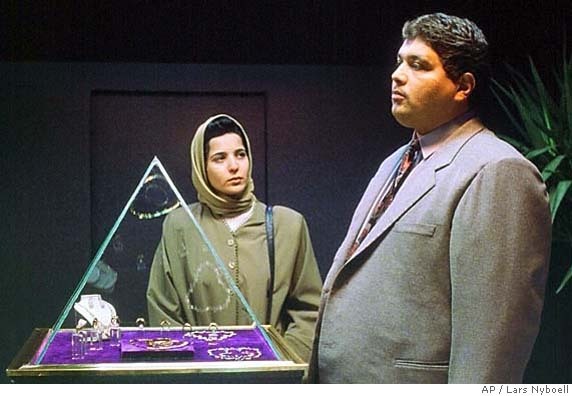 Beginning with a dramatic incident, the film then explores why events turned out that way and in particular how the pressures within Iranian society affect many ordinary Iranians.